Last night, we were treated to an extraordinary celebration in the city of Putrajaya. 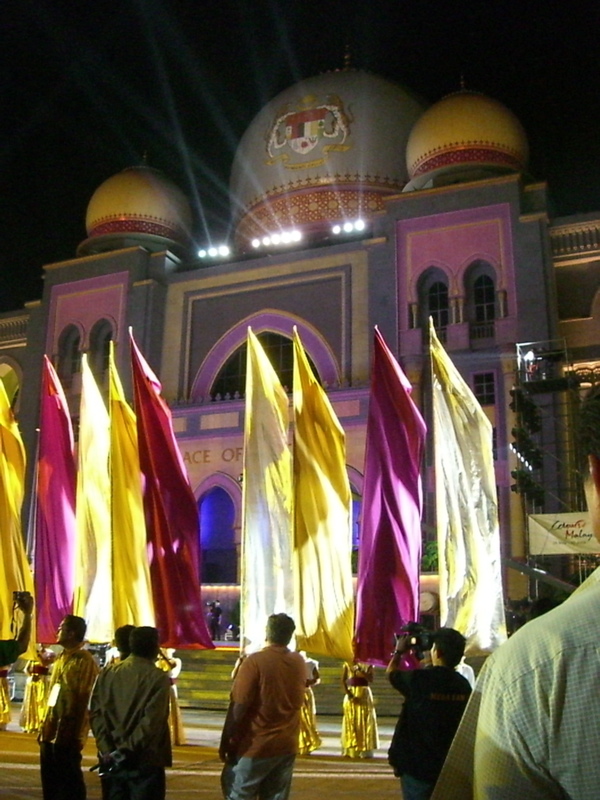 It was the annual “Colours of Malaysia” spectaclur, where the Malays celebate their rich heritage and cluture. To make a long story shot, here is the basic history of Malasia. – First an Indian prince showed up a few hundred years ago. – Then a Chinese guy who happened to by Muslim showed up next. – Then they became their own country 50 years ago. In Malaysia, there are four religious groups that practice in harmony (imagine that!). The Muslims (majority), the Hindus, the Buddhists, and the Christians. It is amazing seeing a whole society respecting and honoring others’ religions so positively. Us Americans can really learn for this harmony. I have to say that I was very surprised by this peace and acceptance. When I first was invited to Malaysia I was a bit apprehensive. I knew that it was a Muslim country and I really did not understand the culture. At first, I had visions of women walking around in burkas and NO BARS. The NO BARS scared me. I was pleasantly surprised to find that the Malaysians love socializing and drinking is no big deal (but as I mentioned, alcohol is a bit pricy). Malaysia is one of the most accepting countries I have ever visited. It is nothing like the prejudices and fears that I held. This, my Divas, is an example of how travel changes us. Through this trip, I learned about a country and culture that is so different than my expectations. Well Teresa, it’s good to know that you enjoyed your time in Malaysia. 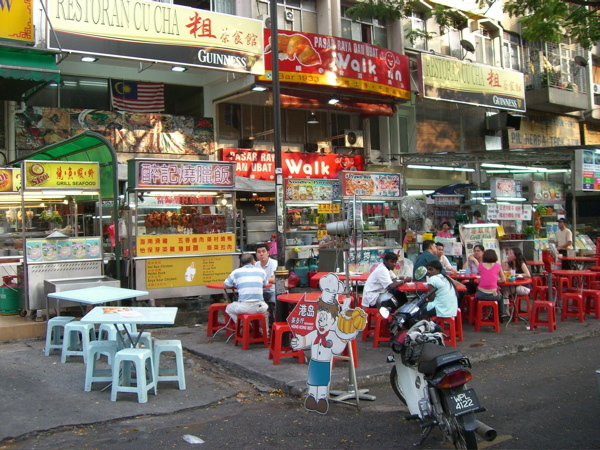 In short, Malaysia is all about the culture, food and shopping. You should really go to a night market (also known as pasar malam locally) and sample all those local delicacy at an affordable price. As a matter of fact, you get the best food by those roadside stalls, instead of those posh restaurants. You should also spare some time with the natural wonders Malaysia has to offer. Plenty of national parks, the most notable one being the National Park located in Pahang. If you plan on dropping by Pahang, you should go to the Kuala Gandah Elephant Sanctuary as well.